Joel Irving Anderson passed away on Tuesday February 21st 2017 after a long battle with heart disease. He was a resident of Finley, ND and spent winters in Apache Junction, AZ. Joel was born June 25, 1944 in Sharon, ND to Irving and Grace (Brager) Anderson. He spent his early years in a one room school house in rural Finley and then completed high school at Finley Public School. Joel married his high school sweetheart Linda Good on June 30, 1962. In 1966 Joel and family moved to Seattle, WA. He worked for Boeing as an airplane mechanic and built airplanes. He enjoyed working for Boeing but unfortunately was laid off in the fall of 1970 with many others. He later worked for JC Penney Truck Center and UPS as a mechanic. The family moved back to North Dakota in the spring of 1974 and he took over the family farm from Irving. After three heart surgeries in eleven years, he decided to retire from farming in 2000. 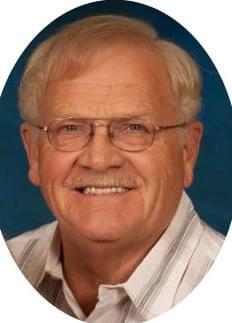 Joel was a member of the Finley Lutheran Church and served as president, deacon and secretary of the Church Council. He also enjoyed teaching Sunday School. He was in Jaycees and was Jaycee Young Farmer of the Year in the 1970s. He was a current member of the Masons. Joel enjoyed bowling in both men’s and mixed leagues. Spending time with his children and 10 grandchildren was one of his greatest pleasures. But his most favorite activity was his passion for cars; he loved working on them. The last 4 family vehicles were bought on e-bay as damaged and he spent many hours restoring them. His current project was restoring a 1954 Studebaker using a 2000 Ford police car as frame, motor etc. He was hoping he could live long enough to see it completed but that did not happen. Last September, Joel was able to drive the unfinished Studebaker to a local car show. He was very proud of his car. He spent countless hours in the garage tinkering on various projects of all types. Over the years, he rarely met a challenge he could not solve. Joel and Linda enjoyed traveling, they started wintering in Arizona in 2004 after Joel bought a 25 foot van and converted it into a motorhome. Each December was spent in California with their daughters and grandchildren. In 2008, Joel bought a newer motorhome which they continued to use on their travels to California, Arizona, and many other places. Joel is survived by his loving wife of 54 years, Linda; daughter Tammy (Steve) Brown of South Pasadena, CA; son Darrin (Andrea) Anderson of Bismarck, ND; daughter Trista (Richard) Humphrey of Diamond Bar, CA; sisters Bonnie (Frank) Mesick of Greensburg, PA; Cheryl Chase (Jim) Kottmeier of Grinnell, IA, and Gayle (Mylo) Bakken of Bismarck, ND. He is survived by 10 beautiful grandchildren: Jonathan (Meghan) Brown; Megan Brown; Stern and Logan Battles; Jonah, Hope, Hallie, and Lola Anderson; Carson and Sydney Humphrey; step-grandchildren Tyler (Jon) Kluz and Hunter Humphrey; one great-grandson Cooper Brown; and many nieces and nephews. He will be missed by his princess Morrisa and his other cat Puff. A Celebration of his Life will be held on Sunday, March 12th at 10:30 am at Rock Shadows rec hall, Apache Junction, AZ. Then in May, a Memorial Service will be held at the Finley Lutheran Church and he will be laid to rest at the Finley Cemetery.